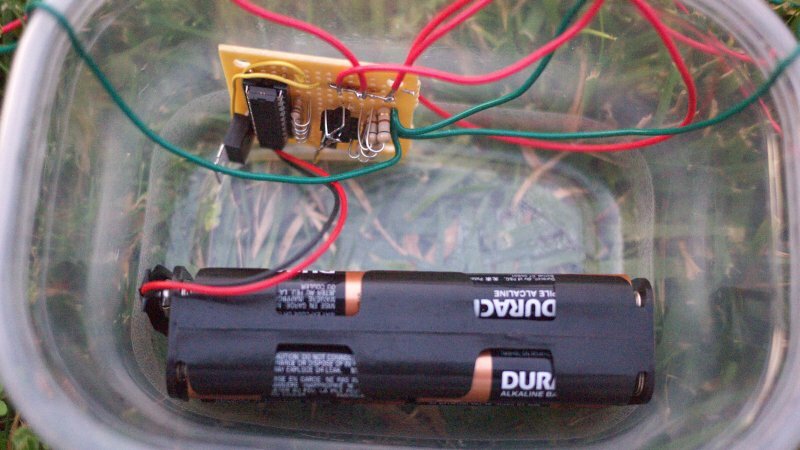 An ATtiny2313 chip, some C code, a bunch of LEDs and other components - that's your DIY Halloween decoration this year. I'll show you how to do it, and there's a video at the end of this page showing the digital creepiness in action. The project is based on the ATmel 8-bit RISC AVR ATtiny2313 processor. 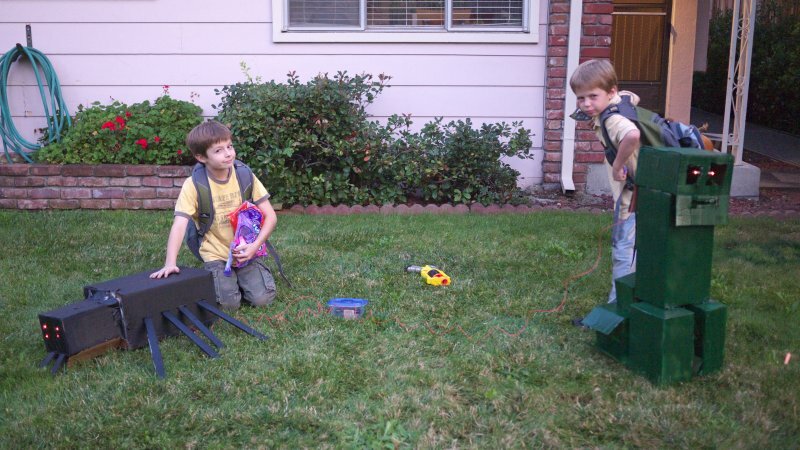 I just needed an excuse to learn how to program it, and a little toy for Halloween seemed perfect for that purpose. 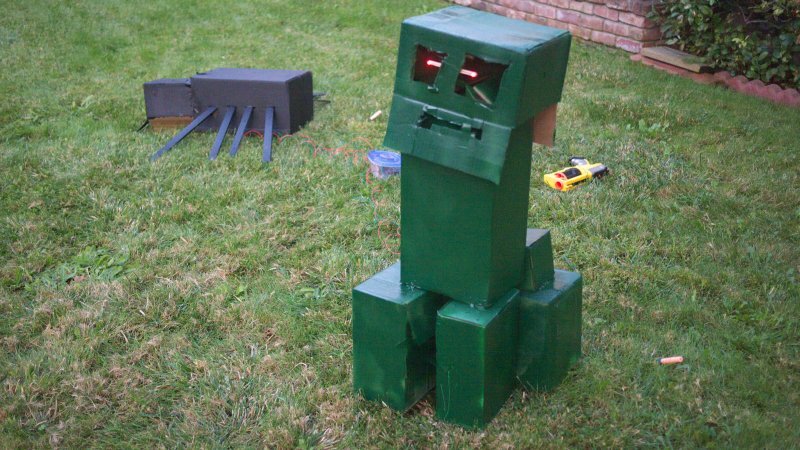 The kids built, out of cardboard boxes, two characters from the Minecraft video game: a spider and a creeper, with eyes made of red LEDs. 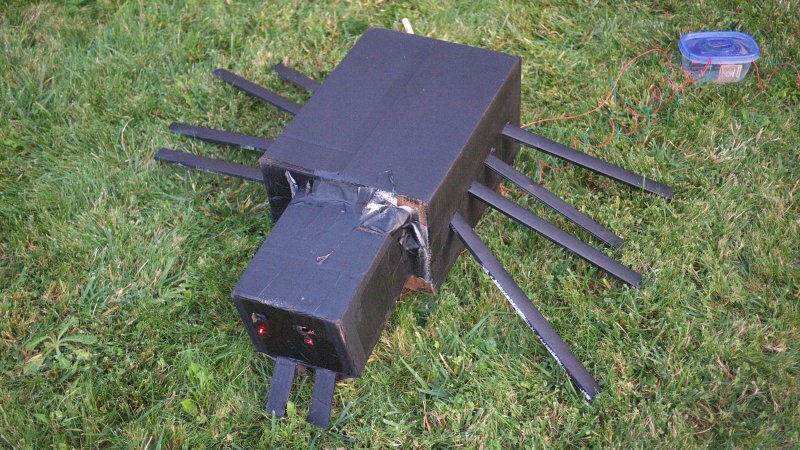 There were some unintended side-effects, such as when the kids painted the spider using the ultra-flat black Krylon spray which I was saving for optical instruments, instead of using the regular flat black Rust-Oleum. But that's okay, at least the spider looks really really black. :) And I'll have to buy another can of Krylon. The purpose of the AVR chip was to make the eyes blink - with a twist: the eyes are supposed to blink randomly, as if these were live creatures. 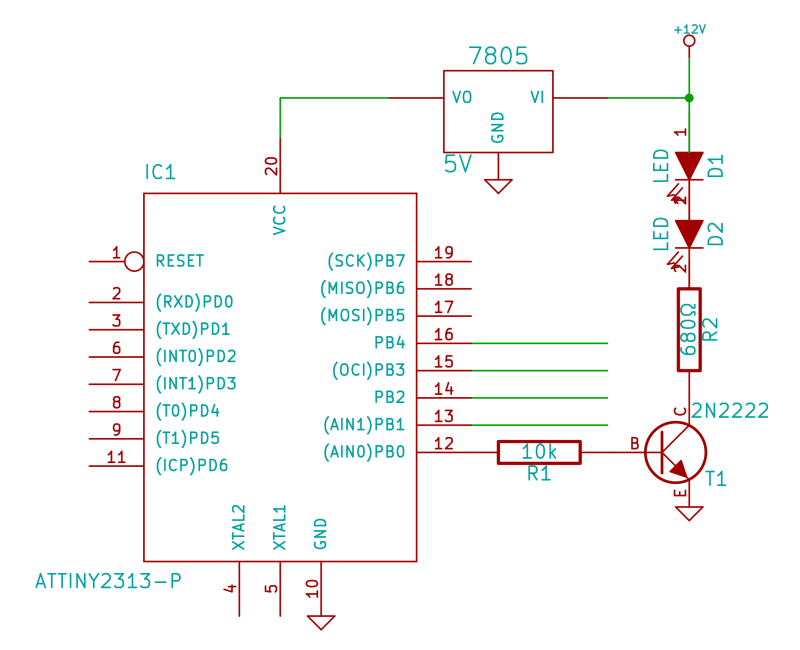 I whipped up a quick driver circuit based on the AVR chip and a few components. You can see the schematics below; nothing fancy, just a simple output stage for each LED pair. The output actually has 5 channels, so it could drive 5 pairs of "eyes" blinking independently, but I only represented 1 channel here, connected to pin 12; the other 4 are identical and are connected to pins 13 ... 16. For each pin, choose a random long duration during which the pin stays HIGH. When that duration has passed, flip the pin to LOW, and keep it LOW a fixed and short duration (the blink). After that, flip it HIGH again. Repeat. At the end of each cycle, dump the 5 bits on Port B, so that the status of the LEDs is actualized.